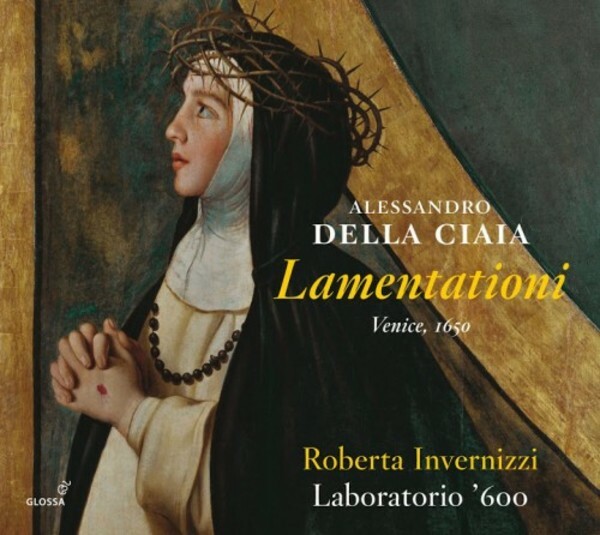 Roberta Invernizzi is joined by Franco Pavan抯 Laboratorio �0 in an intimate and intense Passiontide score from mid-17th-century Siena: Alessandro della Ciaia抯 set of the Lamentations of Jeremiah. Convents throughout Siena at the time boasted nuns of considerable musical talent, both in singing and in playing instruments, and it is undoubtedly for one such convent that the nobleman della Ciaia wrote his music for Holy Week matins services. His Lamentations are scored for a solo soprano possessed of a very wide range and capable of responding to the description of grief in the text over the fall of the city of Jerusalem and the terrible fate of its people. Della Ciaia was himself a noted player of the archlute, and his instrumental facility is evident, here performed by double harp, archlute, organ and theorbo. Franco Pavan has chosen to intersperse the nine lamentations with toccatas by Michelangelo Galilei, Claudio Saracini and Vincenzo Bernia as well as Pavan抯 own reworking of an appropriate motet by Della Ciaia.